Man-of-the-match Tom Cairney and Mark Hudson give their reaction to the 1-1 draw at Ewood Park. A wonderful strike from Tom Cairney helped Blackburn to a 1-1 draw against Cardiff in the Championship opener at Ewood Park on Friday evening. 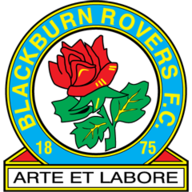 Twenty seasons on from their famous top-flight title success in 1995, Rovers were given the honour of opening up the domestic programme against the side many have made favourites to win the division. And the Bluebirds looked good value for that tag early on with Kenwyne Jones heading them in front with just his second ever Cardiff goal. Cardiff City manager Ole Gunnar Solskjaer gave his post-match reaction following his side's draw against Blackburn Rovers. However, Rovers were level at the break thanks to Tom Cairney's long-range strike before a second-half lull saw the contest peter out tamely. The new domestic season almost had the most electric start when Rudy Gestede flicked his header into Mark Hudson's outstretched arm near the edge of the area. Referee Andrew Madley took his time, eventually awarding a free-kick in the middle of the D despite television replays appearing to show Hudson's arm was inside the area upon contact, and Cairney's set piece simply crashed into the wall. 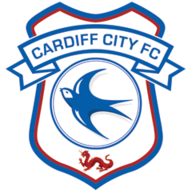 The Bluebirds served notice of their intent with a series of corners which tested home goalkeeper Paul Robinson, one of which he clawed over the bar off his own line with Aron Gunnarsson lurking under his nose. Rovers turned to the tried-and-trusted method of Gestede nodding on for Jordan Rhodes but the Scotland international slashed over the top. It was Jones whose earlier header had almost beaten Robinson on the line and the big striker would not squander his next opportunity. Peter Whittingham's 18th-minute free-kick was touched on by Hudson and Jones appeared to time his run perfectly before cushioning a header beyond Robinson. It was his first goal since February 1 and only the second of his Cardiff career following a debut strike against Norwich. Another would not soon follow, though, as Jones meekly side-footed at Robinson. Blackburn manager Gary Bowyer was pleased with his side's mentality and energy levels, as they came from behind to earn a draw against Cardiff. Two former Bluebirds then went close with Gestede failing to connect with an ambitious bicycle kick while Craig Conway blazed the loose ball over. However, the hosts did restore parity prior to the break as Cairney smashed in a 25-yard try. Rhodes' first major contribution of the new season proved to be a brilliant slide challenge which robbed Whittingham and allowed Cairney to unleash his unstoppable effort. Gary Bowyer had to shuffle his defence at the interval with Matt Kilgallon going off, Jason Lowe dropping into full-back and Alex Baptiste moving inside. It did not disrupt their rhythm too much as Gestede headed just wide after tenacious work from Conway on the left flank. Indeed it was Blackburn's midfield which had taken control of this contest, although a lack of incisiveness meant David Marshall was left untroubled in the Cardiff goal. Ole Gunnar Solskjaer changed both his personnel and their positions but with little improvement, even after switching Adam Le Fondre to a more natural central role. Conway drove the only real chance of the final 30 minutes over the bar as Rovers continued an unbeaten run which encompasses the final 12 games of last season and dates back to March 12.